As with most new cabinets, ours didn't come with hardware. 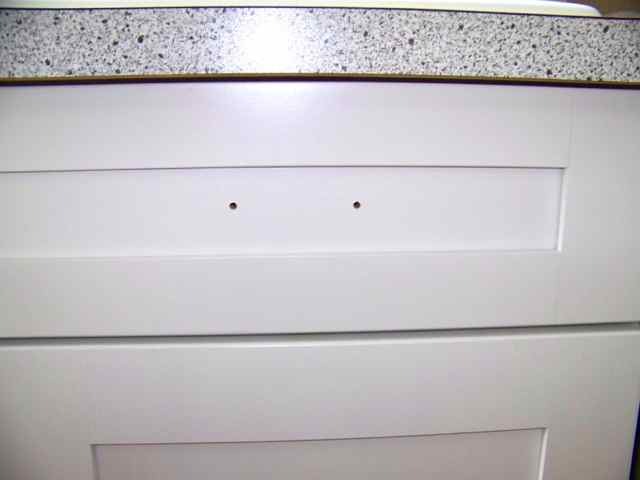 We like this since it allows up to put any hardware that we want on and put the holes where we wanted/needed them. With our last kitchen renovation, I didn't use a great method to install the hardware so I ended up needing to fill in holes. 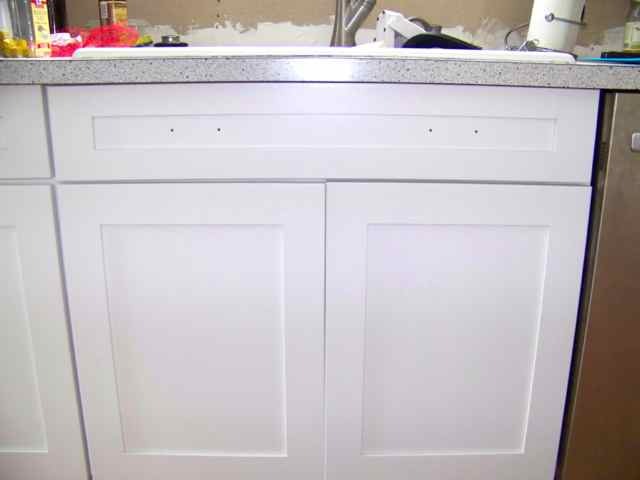 This time around we did not want any extra holes in our new cabinets so Nate used a scrap piece of wood to create a form that we could use to drill the holes exactly where we wanted them. 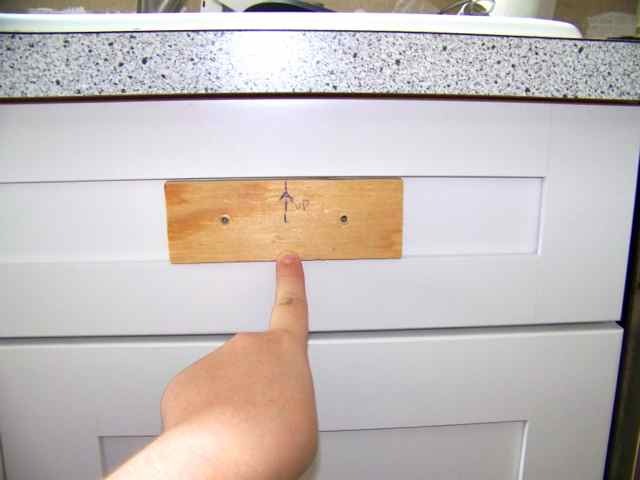 With the form all we needed to do was measure the correct distance in (which depended on how wide the drawer was) and then drill through the already drilled holes. This left us with perfectly spaced and perfectly drilled holes. 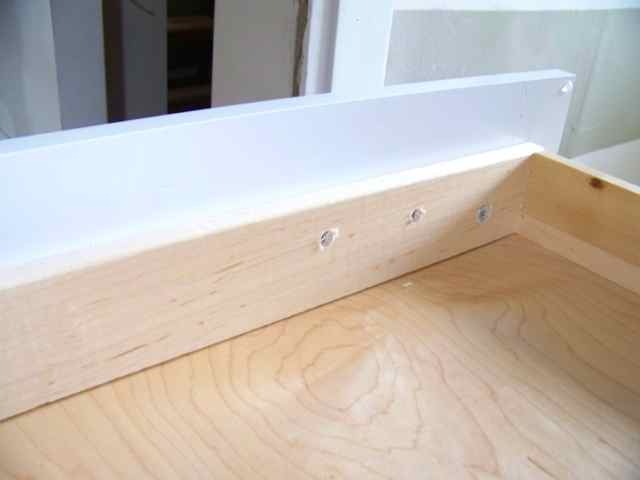 Repeating on the other side completed a drawer. 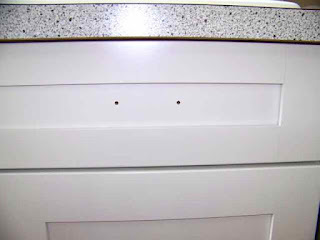 The screws that came with our pulls were too short for the width of the drawer so instead of buying all new screws, we used a slightly larger bit to drill out the back of the hole. 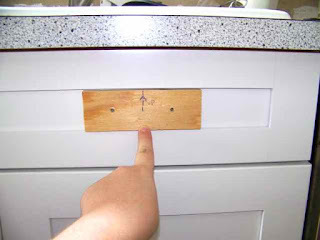 This allowed us to recess the screw so that it would secure the pull. Once all the drilling was done, we attached the pulls. 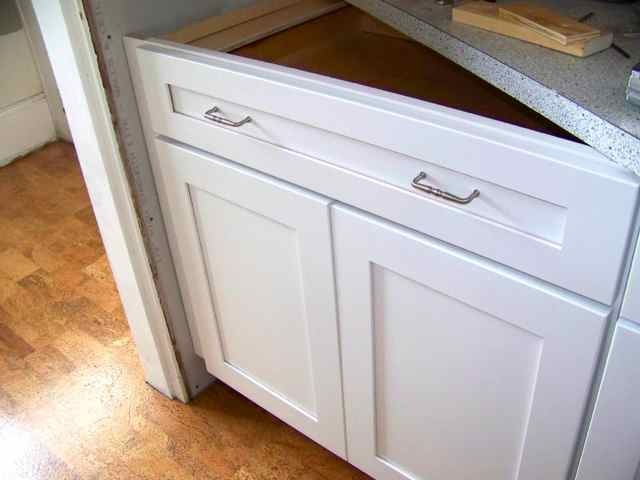 Drawer hardware can be super expensive and we needed a lot of pulls (18 to be exact... not including knobs) and so if we had gone to Lowe's and bought similar pulls we would have shelled out about $80 just for pulls. After searching Ebay for a bit, I was able to find almost identical pulls to the ones we wanted. Instead of $80, I paid $20 for 25 pulls which included shipping. 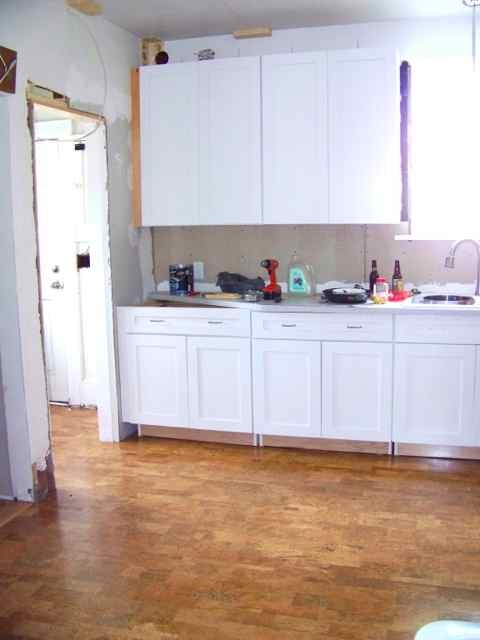 Since we have an older home, we don't want our kitchen to fell out of place by being too modern. 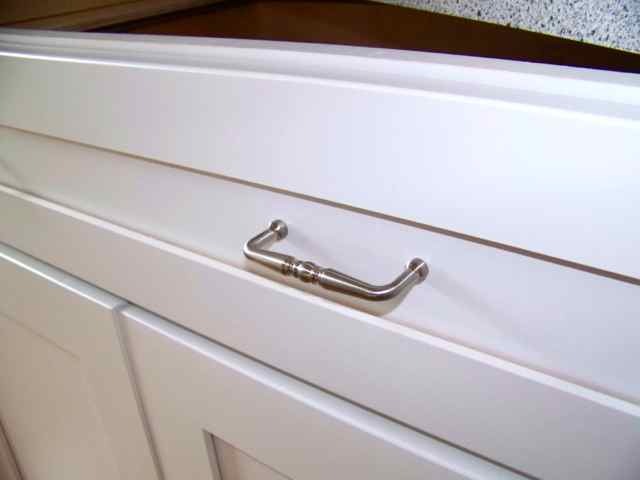 I love how these pulls have subtle detail that make them feel more classic. The pulls aren't an overwhelming statement but they definitely add a subtle touch of classic grounding. We have a few other elements that will also fall into this category. 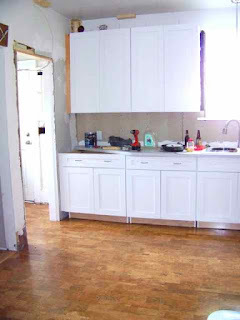 Hopefully the blending of old and new will give us the modern kitchen that we want but keep the kitchen in line with the rest of the house. I love those pulls, we used the same ones when I painted our kitchen! You got a great deal on them. What a great method! Will have to remember this for a project we have coming up! The kitchen looks great, fabulous jig for the drawer pulls. Happy you got such a great deal on the pulls! You got a great deal on those pulls...nice job.